The long wearing creamy gel texture provides the desired intense lines with a smooth, even application. 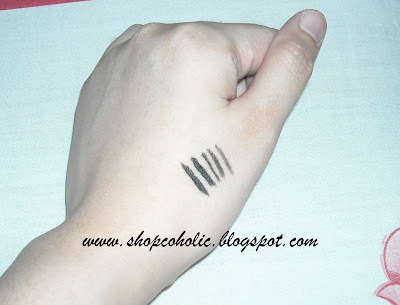 Creamy gel type allows to draw a smooth clean line without crease. Customized eye line brush allows lines to be drawn as desired from fine to thick. The creamy gel texture dries quickly after application. Long lasting, water-proof and smudge-proof formula resists sweat, tears and water. RETAIL PRICE: Php 450. Got this on sale for Php 315 or $6. WEIGHT : 2.8 grams / 0.10 oz. SHADES : Available in only 2 shades. Black and Brown. * EDIT 6/10/2010 - does not dry easily on the pot (had this for almost 6 mos now). I'm impressed! Please ensure to close the cap after use. Wipe the brush with tissue after every use. When stains are noticeable on brush, apply makeup remover on cotton pad and remove the stain from the brush and wipe it again with dry tissue. Leave the brush to dry. Love it! Definitely a keeper! 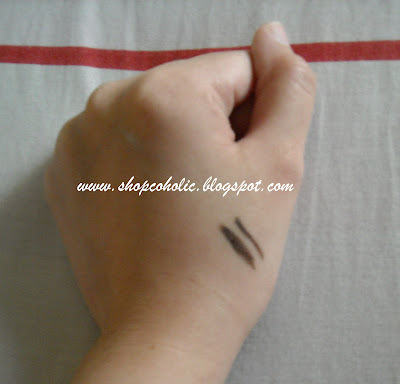 This product is a MAC Fluidline dupe, check my post HERE. 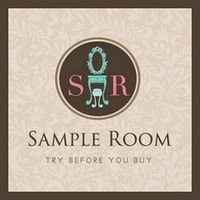 Check it out if you want to see the latest products & prices. 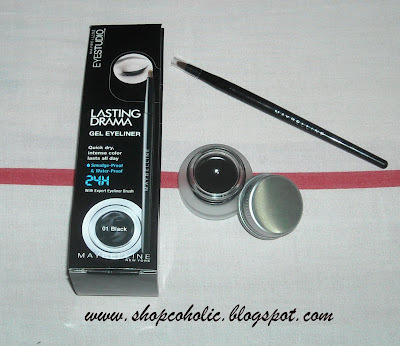 lagi ko to kinukuha but when im about to pay i always end up returning it hehehe,kasi sabi ko..dami ko pa gel liner,pencil liner ako ngayon,have you tried their liner shadow?like it a lot,better than prestige.super ganda ng packaging pa.hehe. hi! been reading this blog but 'i my first comment..
i love your blog because you mostly review local products.yay for that! well, will try this one! i already saw this once but was hesistant to buy.thanks :) keep it up! 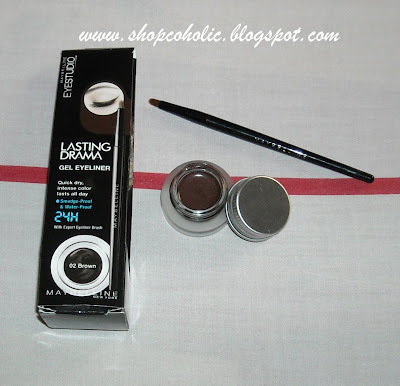 I just reviewed this today with the Fanny Serrano gel liner! I hope my FS doesn't dry out like yours did, because I like my FS! thanks for the comments girls! long lasting talaga sya and hindi nag smudge hehe. black and brown lang ba sila sis? am so stupid with make up. oh am just glad i stumbled on your blog. is it really that good? my eyes tends to red when i have make up on.